Internationally renowned as the ‘king of red wines’, Australians have a particular affinity for what we’ve affectionately (although inaccurately) dubbed ‘Cab Sav’ (rather than ‘Cab Sauv’). Whether it’s because we produce such quality varieties, or because our traditionally European diet pairs so well with the wine, we always seem to have a bottle in the cupboard. And if not, we should. A ‘full bodied’ red wine made from Cabernet Sauvignon grapes, sometimes blended with other grapes such as Merlot. Produced worldwide, from countries including France (where it originated), Italy, Australia, New Zealand, Chile and the USA. The background flavour depends on where the grapes are grown and can range from fruit characteristics such as blackcurrant or cherry, to eucalyptus. The grapes’ high tannin content gives a very dry finish. Cabernet Sauvignon ages very well. If you can resist drinking it, many bottles will improve over 5-10 years. 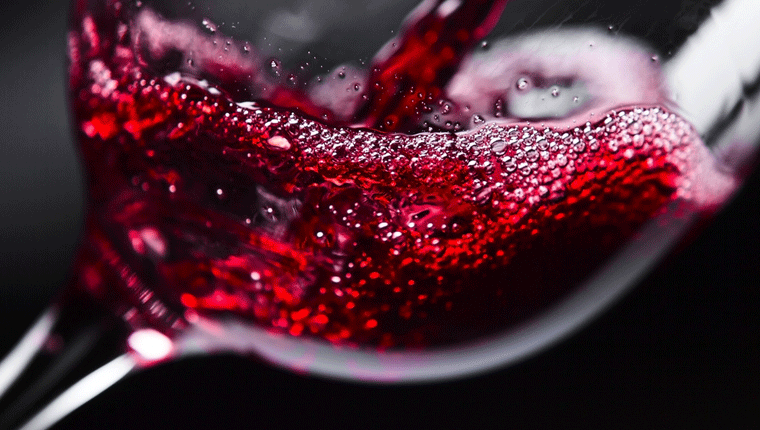 The red Cabernet Sauvignon grape was first grown in the Bordeaux region of France in the 1600s, from a crossing between a red Cabernet Franc grape and a white Sauvignon Blanc grape. As it grew in popularity over the centuries, vines were transported to other European countries – notably Spain and Italy – and then on to new world markets including South America (Chile, Argentina, Brazil), USA (Napa Valley, Washington State), New Zealand, South American and, since 1970, Australia. Popular Australian wineries that produce Cabernet Sauvignon and Cabernet Sauvignon blends include Penfolds, Wolf Blass, Jacob’s Creek, Taylors, Goundrey, Brookland Valley, Rosemount, Hardy’s and Yalumba. Where the grapes were grown, when they were harvested, what (if any) other grapes were used as a blend in the wine’s production and how long the wine has been aged, are the predominant influences on a Cabernet Sauvignon’s flavour. Regional influences such as soil type can produce earthier flavours. Early harvest grapes are considered to deliver ‘green bell pepper’ (or green capsicum in Australia) notes, whereas later harvest grapes have fruitier notes, such as blackcurrant, plum and cherry. The longer the wine ages, the less bitter the tannin flavour. As a strong, full bodied red wine, Cabernet Sauvignon needs to be matched with food that it’s not going to overwhelm. In other words, dishes which are as rich and complex as the wine itself; fatty red meats, game such as venison, smoked ham dishes and casseroles are particular favourites. Conversely, its high alcohol and tannin levels don’t go well with spicy foods, so avoid pairing it with hot Thai, Indian or Mexican meals.